More than half of the Russian population is composed of football fans and this is beside the fact that Russia is the largest country in the world. In addition to that, 2018 is set to be a tremendously great year for the country since it will be hosting the 21st edition of the FIFA World Cup championship. Honestly, there is no sporting event on the face of the earth that is as big as the FIFA World Cup championship. 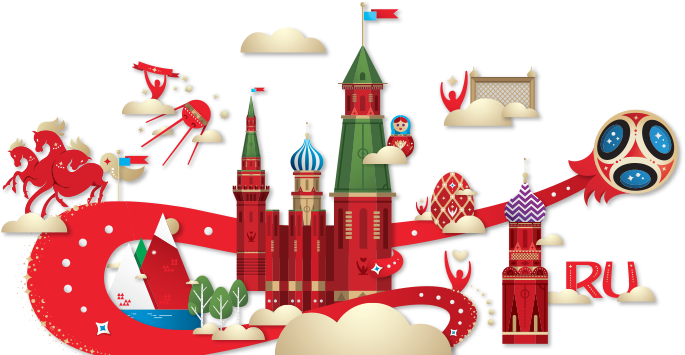 The tournament will bring together more than 1,500 nationalities from across the world as well as 190 ethnicities that reside in Russia. It will kick off on June 14th, 2018 at Luzhniki Stadium and end on July 15th, 2018. Moreover, the tournament will be hosted by 11 cities and be played within 12 stadiums which are within European Russia in order to cut down on travel cost or delays. Everything regarding the tournament has been prepared including stadiums, host cities, tickets, and transportation. Below are more details on the 2018 FIFA World Cup tournament. Russia is one of those countries that require you to have a visa before you can visit. However, this will not be the case for football fans planning to travel to Russia. The country will be receiving millions of fans from all over the world for the 2018 FIFA World Cup championship. Russian authorities have therefore gone out of their way to make things easier for the football fans. Fans headed for Russia shall not be necessitated to acquire visas. The move will make traveling arrangement for the fans to be easy, timely and cheap. All that will be required from fans or spectators will be a Fan ID. The Fan ID is not just limited to World Cup fans only if you would like to conduct tours in Russia, this will be the appropriate time too. Additionally, you will only be viable to applying for the Fan ID once you have applied for match tickets and they have been approved by FIFA. Match ticket booking started back on Oct 30 and can be done through the FIFA website. The Fan ID contains your photo and personal information. It will be issued free of charge and will only be usable ten days before the first match. Similarly, the Fan ID will expire ten days after the last match. Generally, there are 12 venues, which are spread across 11 cities in Russia. Groups for the World Cup finals were drawn on December 1, 2017, and the schedules for the matches created. The venues will host games in the knockout stages as well as group matches. Most notable is the opening game featuring Russia, which will be played at the Luzhniki Stadium (the largest with a capacity of 81,000 seats) in Moscow. Most of the stadiums were newly constructed while some were simply renovated. The 21st edition of the FIFA World Cup tournament will go down in Russia next year. This time it will be big and better owing to the fact that all spectators or football fans will be able to access free transport on all public means. This will be possible as a result of the Fan ID system. Once you have a Fan ID and a match ticket you will be able to move within host cities for the tournament free of charge. Cost of traveling has been a challenge for fans attending sporting events because of how they are crowded. Since trains are popular in Russia, it is estimated that more than 500 of them will shuttle fans in between the 2018 World Cup tournament host cities. Russian Railways recently confirmed this. They will use high-speed two-story trains operating on Kazan, St Petersburg, Adler and Samara routes while high-speed Lastochka trains will operate between Nizhny Novgorod and Moscow. The trains will feature air conditioners, restaurant cars and will be second-class coaches. Buses, trams, and trolleybuses will also offer free transport in the designated regions.